Stylish flat glass plaque award in sail shape design, set on a blue and clear glass plinth and mounted on a bevelled glass base. 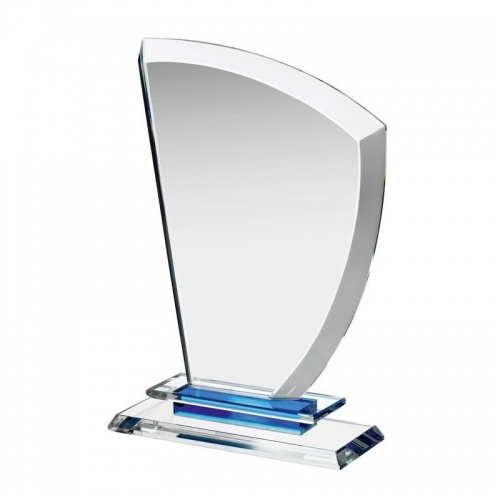 Avaialble in three sizes, these versatile awards can be engraved on the flat front and are offered with low, fixed-cost text engraving and free logo engraving. They are supplied presentation boxed.